Our very first performance in 2001 featured Richard and Steve, along with Tyler Grant on guitar and Fred Wade on bass. Tyler was soon headed to find his well-deserved fortune as a Nashville musician (now Colorado) and Fred was playing with other SoCal bands, so the band personnel changed. 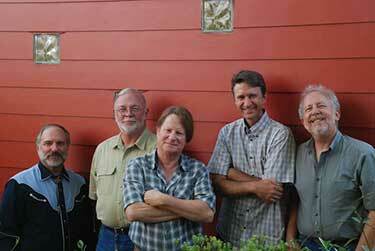 The band’s first paying gig, in October 2003 with Richard, Steve Dame, Beth Mosko, Lisa Burns, and John Highkin, was as the opening act for David Parmley & Continental Divide. We opened for a Danny Paisley and Southern Grass concert in Carlsbad in 2009. We've even played a gig accompanying a modern dance performance with the San Diego Dance Theatre at the San Diego Museum of Art. We love playing Summergrass, San Diego's premier bluegrass festival held each year in August. We played Summergrass in 2004, 2009, 2011 and 2013. Photos from Gone Tomorrow's performance at Summergrass 2004 are here. Gone Tomorrow plays other music festivals, too: the Mammoth Bluegrass Festival in 2012 and 2013, and the Big Bear Bluegrass Festival and the Ramona Bluegrass and Old West Festival in 2013. Check our schedule on the Schedule section of the website. There's a list of places where we've played, too, at the bottom of the Schedule page. Get a short version of our bio here. Richard Burkett (guitar and mandolin, vocals) founded Gone Tomorrow and has played bluegrass for over 30 years in bands in the Midwest and San Diego. Richard sings both lead and high harmony, and writes most of Gone Tomorrow's original songs. His early bluegrass career started in the early 1980s with TJ's Review bluegrass band in Indiana fronted by Wild and Blue singer Jan Harvey, and more recently as mandolin player in the Hwy 52, Rose Canyon, and Second Delivery bluegrass bands in San Diego. Watch a YouTube video of Richard's old band, Hwy 52 with Chris Stuart here. A visual artist in his other life, he is an acclaimed potter and emeritus professor in the School of Art+Design at San Diego State University. Take a look at his pottery and sculpture here: richardburkett.com. Steve Dame (banjo and fiddle, vocals) has played banjo and fiddle with a wide variety of bluegrass bands all around San Diego County and with Richard is the only other remaining original member of Gone Tomorrow. Steve has appeared at major regional events, including First Night Escondido and at the Adams Avenue Street Fair with bluegrass legend Kenny Wertz. In his free time, Steve is a talented professional landscaper operating Dame Landscape. His driving banjo and strong vocals are at the heart of the Gone Tomorrow sound. Asian ladies (at least two that we know of) of all ages are irresistably drawn to him and throw themselves at his feet because of his banjonic prowess. He is also a passionate dog lover: He has two dogs: Pepper and Coco who are well read, having eaten the entire works of Mark Twain. Don Hickox (fiddle, vocals) has been a part of the bluegrass scene in San Diego for several decades. His soulful fiddling shows the influences of a diversity of musicians and styles, from bluegrass master fiddler Kenny Baker to Irish fiddle tunes. We're not quite sure where Don got his incredible talent for bluegrass fiddle, as he's a former surfer who was born in Trinidad. 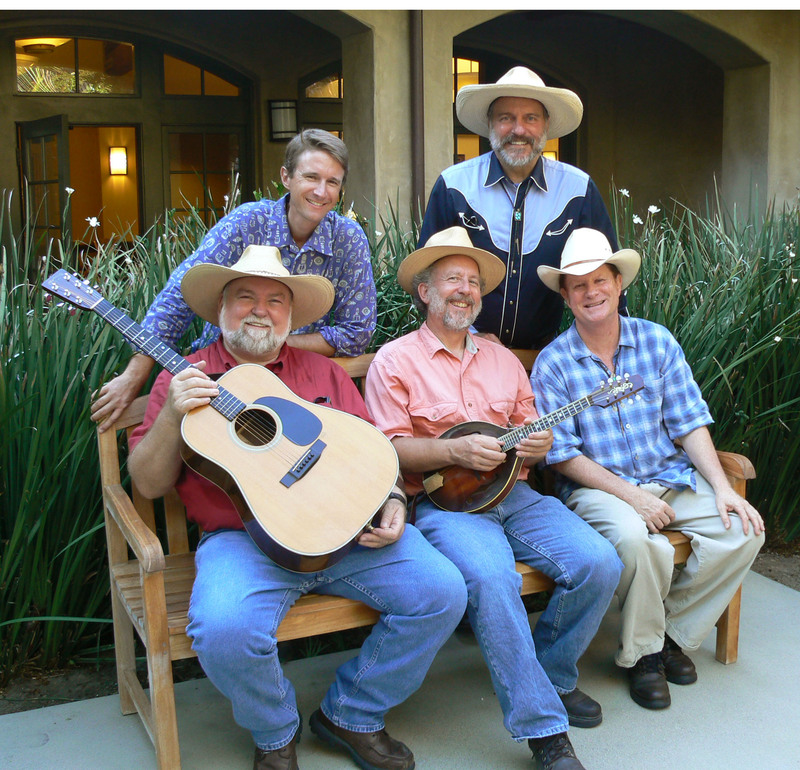 Don has been a member of almost all of the major bluegrass bands in San Diego over the years, including Richard's old band Rose Canyon Bluegrass Band in the 1990s. He plays occasional gigs in other bluegrass bands in the area, too. You might catch him playing with the local Irish band, The Shamrockers, at a pub here in town, too. We're excited to have him in the band. Dwight Worden (guitar, bass, vocals) is a long-time San Diego area resident, recovering lawyer, and a great musician. He's often seen playing music with a variety of bands around town including Gone Tomorrow and Prairie Sky. A talented musician, Dwight plays fiddle, guitar, mandolin and bass and signs lead and harmony. Dwight is the past president of the San Diego Bluegrass Society and a former board member of IBMA - the International Bluegrass Music Association. He also writes a monthly column called The Bluegrass Corner for San Diego's music newspaper, the Troubadour. We're glad to have him in the band, too. Given Harrison (upright bass, rhythm guitar, vocals) started playing bluegrass in 1974 as a founding member of Late For Supper - an energetic group of young guys stirring things up in Palm Desert. As time has passed, he moved to San Diego County where he has been seen playing with The Unstrung Heroes, Box Canyon, Graybeard, Superstrings, Highway 76,The Tail Draggers, and many more. We're really happy to have Given playing bass with Gone Tomorrow when he's available. Given is a retired educator who also enjoys restoring and racing small sailboats and playing with old cars. Once in a while Dwight or Given can't play a gig you may see one of our other favorite bass players: Tad Van Allen, Becky Green (at the SD Fair gig 2007), Fred Wade (North County Bluegrass & Folk Club 2007), or when we can talk her into a visit down south, Lisa Burns (it's been a while, Lisa...). • John Mailander occasionally fills in on fiddle and mandolin when he's in town, but that's really rare lately as his musical career has taken off and he's no longer living in San Diego. John's doing some great work with other musicians all over the country, so we don't get to see him much anymore! Check his website for where he's playing now, and for information on his CDs. • Lisa Burns (upright bass) has been playing the upright bass since 1994, and has appeared in many Northern California bands such as The O’Pinions, Loose Gravel, and most notably her current Bay Area band, Sidesaddle & Co. She also teaches bass. Sadly, Lisa has returned to her home in the Silicon Valley area. We still love it when we can get her to come down to play gigs with Gone Tomorrow! •Russ Evans (guitar, mandolin, vocals). Russ filled in from time to time when Dwight or Richard couldn't make a gig. He's back in Utah, so we haven't seen Russ for a few years. He and Steve Dame also played in Russ's band Blue Mountain Mule. • Dale Desmuke (guitar, and lead and harmony vocals) is a veteran musician and singer who learned his chops as a teenager in the honkytonks of Texas. The rich musical heritage of Texas gave Dale a taste for all styles of music and influenced his approach to Bluegrass. Dale was a big part of Gone Tomorrow for many years and we still love a chance to play with him in the band. He's a great rhythm player with a big voice that we love to hear singing any of the hundreds of songs he knows. He brings his love of Texas swing and his encyclopedic song list to the band. Dale can rarely be stumped when requested to sing a song from the country, Texas swing, or bluegrass repertoires. Dale played with Richard in the Shy Persons, Richard's first band in San Diego in the early 1990s. • Beth Mosko (fiddle) has returned to Fort Collins, Colorado and we miss having her around. Beth is classically trained and has played with symphony and chamber orchestras, and string quartets.She picked up the bluegrass style quickly and with deep understanding. Beth is much in demand in the bluegrass scene. Gone Tomorrow loved having her great playing in the mix! She plays music and does music therapy. • Dan Sankey (mandolin and fiddle) is a bluegrass veteran of many San Diego bands. Dan played with Gone Tomorrow when he was available. He and Beth did several beautiful twin fiddle numbers that would break your heart. Dan's mandolin playing is really stellar, and he's sings and writes a few numbers, too. • John Highkin (mandolin) returned to bluegrass after a career in circus and theater. He co-founded and led Fern Street Circus from 1990 to 2003 (and recently restarted the circus! ), created theater pieces at the Big Kitchen and studied at Bertolt Brecht’s Berliner Ensemble in East Berlin. His bluesy mandolin playing and lead vocals on Hank Snow numbers added to the richness of the Gone Tomorrow sound. He has been known to attempt mandolin levitation with the help of over 200 audience members! Unfortunately on his last attempt he instead levitated himself to Salina, Kansas for several years! Oh Auntie Em... Thanks to the Wizard of Oz (did he really click his ruby slippers together three times? ), he's now back in San Diego as the executive director of the Young Audiences program and playing vintage western swing and country music as a stilt-walking mandolin player.